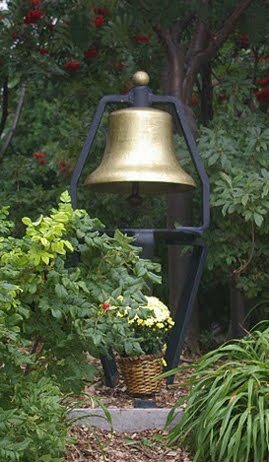 "Did you hear about the big bellwether election for gun control politics on Tuesday? A candidate with an F rating from the NRA who was bold enough to openly support universal background checks and limits on ammunition magazines won in a purple state with a strong gun culture, the home of the NRA. Pundits everywhere are ready to make grand proclamations about what the result will mean for the gun issue nationwide, just as they did when two Colorado state senators who supported tougher gun restrictions were recalled in a September election that involved vastly fewer voters. Actually, only one part of that paragraph is accurate. Terry McAuliffe is the next governor of Virginia. But very few pundits have been framing the race as having anything to say about the state of the gun control cause, despite McAuliffe’s remarkably forthright support for tighter gun restrictions, which included proudly touting his F rating in a debate with Republican Ken Cuccinelli. Most summaries of the race make zero mention of the gun issue at all, despite the fact that both sides of the issue have engaged heavily in the race, with the NRA spending $500,000 against McAuliffe and Mayors Against Illegal Guns, New York Mayor Michael Bloomberg’s group, and Gabby Giffords’ Americans for Responsible Solutions spending roughly $2 million combined." “The election of Terry McAuliffe as Governor of Virginia in a race with a high turnout, and high stakes is yet another demonstration of the changing tide on the gun violence issue. In a swing state that is home to the NRA, Governor-elect McAuliffe campaigned on his strong support for sensible gun violence solutions like extending Brady Background Checks to all gun sales. He wore his "F" rating from the NRA like a badge of honor, demonstrating the overwhelming support that Virginians, like all Americans, have for sensible solutions to gun violence. Make no mistake this was a voting issue for Virginians. The Brady Campaign was proud to endorse Governor-elect McAuliffe, and we look forward to working with him to help make Virginia safer for its citizens." Candidates can win without the support of the NRA lobbyists. And this PPP polling (above) shows that actually, a position supportive of common sense gun laws wins votes. There is nothing to fear for candidates. It's time for a change in campaign talk about guns and gun violence in order to protect our communities from the devastation of gun violence. Other candidates should pay attention to what happened in Virginia going forward to 2014 and 2016. This, of course, is not the first election cycle where the money and influence of the NRA hasn't worked out. Check out what happened in 2012. And even before that, the myth has persisted that the NRA lobbying efforts have affected elections but when that common misperception is examined more thoroughly, as this series of articles by Paul Waldman forThink Progress( here, here and here) did, we learn that the myth is just that- a myth. Congratulations to Governor elect Terry McAuliffe. And we know we can be better than the failure of our elected leaders to challenge the prevailing view that you can't stand up to the NRA and win elections. You can. Enough is enough of the myths about the influence of the corporate gun lobby in American politics. It's time for the change Americans want and deserve. Let's get to work. I didn't know he was fired. What a shame. I guess you can't speak up for common sense and be a gun owner in the eyes of some. Magazines are no different that any other media, as in its entertainment. You tick off your audience, you'll be looking for a new job. There are many entertainers who have suffered a similar fate. Really? What about Ted Nugent and his offensive gun talk? He still gets hired and he's still on the board of the NRA. The gun lobby tolerates most anything from their own crowd, including the hysterical rants of Wayne LaPierre who should have been gone a long time ago. But if one person veers slightly in favor of what the majority of even NRA members favor, they get the boot. I would say that this crowd is particularly intolerant of differences of opinion. Dear Joseph Ruiz from New Jersey. Please don't send any more of your totally offensive, rude, obnoxious and false comments to my blog. They won't be published. Governor Elect McAuliffe did not run on a anti IIA platform. With the exception of his website, little, if any was said about VA gun laws. 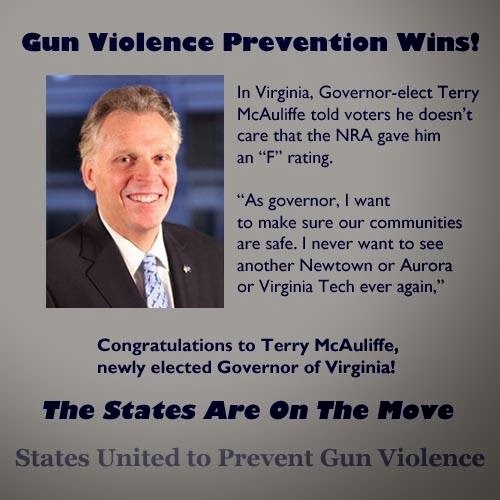 For any gun laws to pass, McAuliffe will have a long row to hoe to make any meaningful change. The VA legislature is not likely to risk a CO style recall by endorsing or passing gun laws that are in line with anti IIA activists. His votes came from Northern VA and the growing hispanic voters who care very little for or against VA Gun laws. And, by the campaigns own admission, it was the ACA (Obamacare) *not* VA gun rights that was the deciding factor. 85% polled were in favor of stronger background checks. You are wrong. 24. As you may know, high-capacity magazines or clips can hold many rounds of ammunition, so a shooter can fire more rounds without manually reloading. Would you favor or oppose a nationwide ban on the sale of high-capacity magazines that hold many rounds of ammunition? This question is so open to interpretation that it is rendered statistically weak, at best. What # constitutes "many rounds"? It also is not a VA pol as it specifically asks if the responder has an opinion on a nationwide ban. Standard magazines for a M-4 type, semi auto carbine, hold 30 rounds. 30 rounds is a standard magazine. Anything more is high capacity. So, is 30 "many rounds"? If a shotgun hold more than 3, does that constitute "many rounds"? A ruger 22 rifle holds 10 rounds. Is a magazine fro that same rifle that holds 15 or 20 "many rounds"? As you can see, in order for the question to have merit, it must 1st ask the responder to respond as to how many rounds is too many. I doubt one could get a standard quantifiable answer. 30 rounds are considered to be high capacity magazines. 25. Would you favor or oppose a nationwide ban on assault weapons? 29. Do you think allowing citizens to own assault weapons makes the country safer or more dangerous? 33. Which of the following approaches do you think would be the most effective way to prevent mass shootings at schools, like the one that occurred in Newtown, Connecticut: *banning assault weapons*, or increasing police presence at schools, or decreasing gun violence on television, in movies, and video games, or increasing government spending on mental health screening and treatment? Before we can give any weight to these questions, we MUST define what constitutes an "Assualt Weapon". Until both sides can agree, the above questions about "assualt weapons" are meaningless. What is your "assault weapon" is my target or varmint rifle. Assault weapon is a term first used by the gun industry to describe what had been military style rifles not commonly used by private citizens. When the industry realized that that term was a turn-off to the public, they re-branded them to be sporting rifles which they are not. They are not commonly used for hunting. They are not good for hunting deer and large game for example. This is a ploy to sell expensive guns and get them into the hands of as many citizens as possible. They shouldn't be commonly owned. They aren't good for hunting or self defense. For what other purpose do people need guns? I believe the answer is obvious. Assault Weapon was a term coined by VPC in an attempt to steer this debate quite some time ago. It was not originated by the firearms industry. The first use as applies to civilian firearms was in a 1985 gun control bill proposed in California, but it was Josh Sugarmann's 1988 publication "Assault Weapons and Accessories in America" that really put the term into common use. It was *not* driven by the firearms industry. Wrong Bryan. Check the facts. Here they are: http://mediamatters.org/blog/2013/02/06/what-right-wing-media-wont-tell-you-about-assau/192553 " 1963: Colt, after acquiring the design for the AR-15 from ArmaLite, begins to sell a semi-automatic AR-15 assault weapon on the civilian market." " 1980s: Semi-automatic assault weapons become widely available on the civilian market. According to the Violence Policy Center, gun manufacturers began to heavily market these weapons to make up for declining handgun sales. 1982: Guns & Ammo magazine publishes a guide to semi-automatic assault weapons simply titled, Assault Rifles. 1984: A Heckler & Koch advertisement for the "HK 91 Semi-Automatic Assault Rifle" depicts the common survivalist theme seen in assault weapon advertisements. The ad notes that the rifle pictured for sale is "derived directly from the G3" and adds, "Leading military operations and law enforcement agencies rely on firearms that bear the H&K name. Your choice is equally clear. You can carry an ordinary weapon. Or own the most uncompromising firearm in the world." The H&K G3 is an assault rifle used by numerous militaries since its invention in 1959. Also in 1984, the H&K 94 Carbine, a rifle with a shorter barrel, is described by its manufacturer as "a direct offspring of HK's renowned family of MP5 submachine guns."" There is much more in this article that researches the terminology. It was not made up by the VPC. They were just using the terms already used by the gun industry as they started selling these kinds of weapons. TREND: Do you think the laws covering the sale of guns in Virginia should be made more strict, less strict, or kept as they are now? So, 48% of the respondents responded less strict/kept the same. How this correlates to 98% wanting NICS checks at gun shows...? I don't know. But I am a gun loving mouth breathing knuckle dragger so stats like that might be beyond my ken. Looks to me like 49% said more strict. That looks like a majority to me. No, 30 round magazines are standard for the M16 type and AK type platform. IOW, these magazines, 30 round, are the common provided magazine. That makes makes them standard, like standard features on a car. if you want them to be "High Capacity', then you need to work at changing the standard. They may be standard for your type but hardly any hunters I know in my neck of the woods use either assault type rifles or magazines of more than about 10 rounds. They don't need them for hunting so they don't use them. 30 rounds are high capacity. There is no use for 30 rounds unless you are planning to kill a lot of people at one time in one place. MN does not have a magazine capacity law that I can find for hunting, other than a restriction for shotguns of no more than 3 shells for bird hunting. The only reason I would have a large capacity magazine is to protect my family from multiple people invading my property. I am responsible for protecting myself and my family. Any law enforcement would arrive too late. The Supreme Court of the United States ruled in 2005 that police do not have a constitutional duty to protect someone. I am sure that most would do their best to protect and serve, but they will arrive after an event, too late to help. Joan, the common sense thing to do is to require enforcement of existing laws and take on the criminals. All you are doing is trying to make criminals out of law abiding citizens. Let's work together and take on crime and enforce the thousands of existing laws. It is the common sense approach. I will respond to this one in my next post.